Honda Cars India is planning to launch at least 5 new cars to improve sales further. 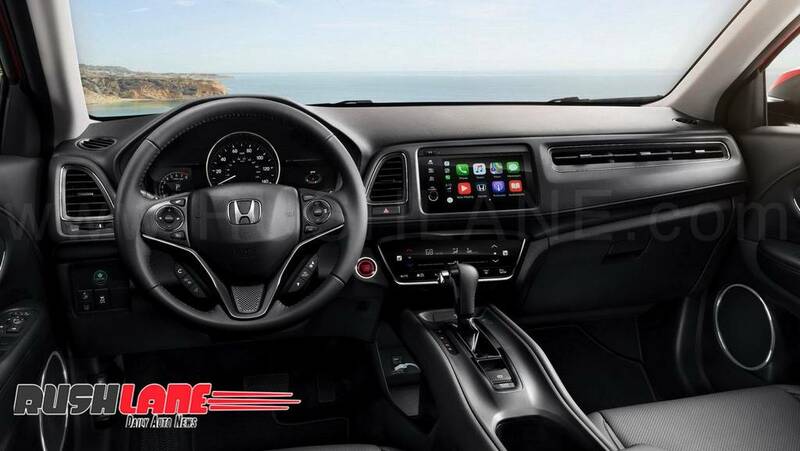 After seeing huge success with the newly launched Amaze sedan, Honda Cars India is planning to launch atleast 2 new cars based on the Amaze platform (one could be new Brio and other could be sub 4 meter SUV). Apart from this, there will be 3 more new cars for India. One of them is the Honda HRV, which will take on the Hyundai Creta, and the upcoming Tata Harrier H5X and Maruti Suzuki Vitara. As per a report published by LiveMint, the company has already started talks with vendors for the potential launch and production of the HRV in India. 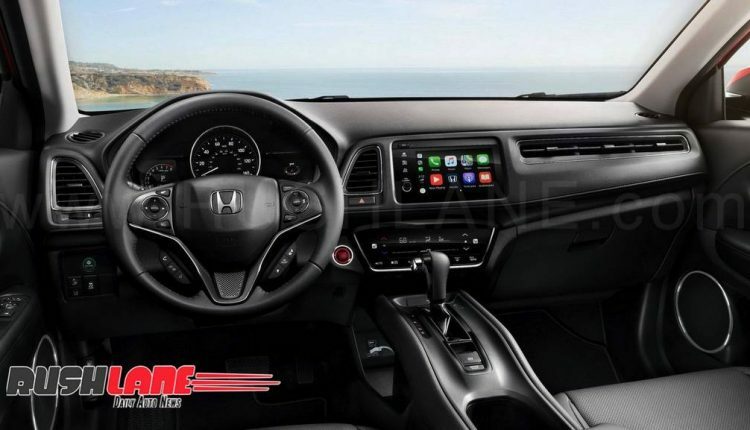 In order to keep price competitive, Honda will have to make the car in India. Speaking about the new HRV, it is already a success in may countries. 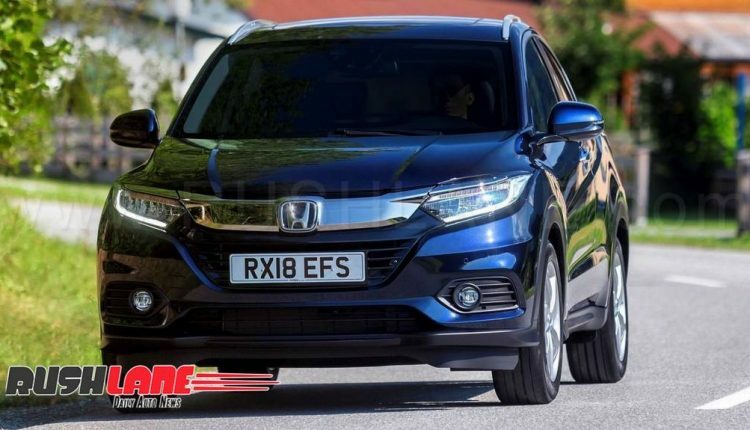 Just recently, the new HRV got updated in Europe with a 1.5 liter petrol engine, which is also expected to power the India-spec HRV. 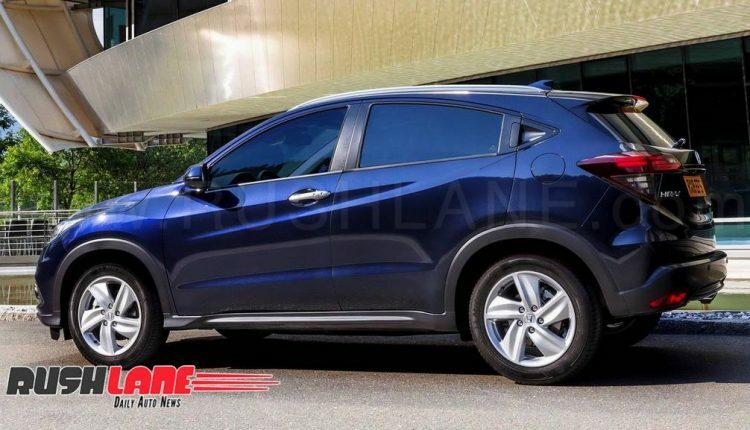 Most notable updates on the 2019 Honda HR-V crossover includes a chrome grille as against a glossy black grille seen on its earlier counterpart. Extensive use of chrome is also noted while headlamps get redesigned with new projector lenses and LED DRLs have been added. 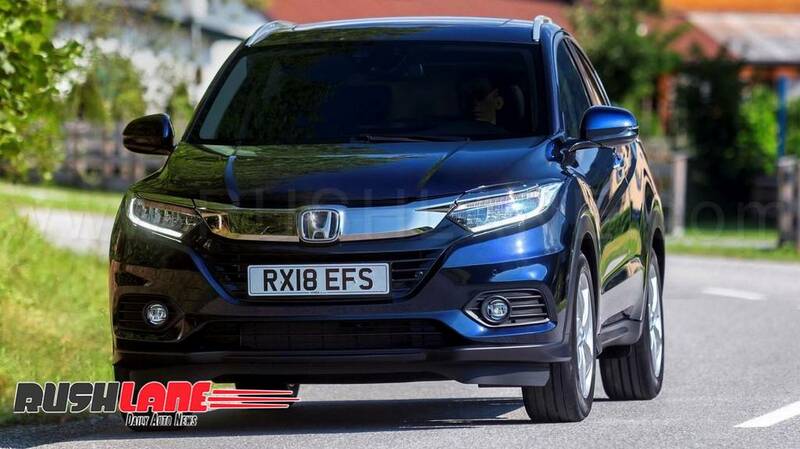 Europe spec Honda HR-V is powered by a 1.5 liter naturally aspirated petrol engine. This engine offers 130 PS power and 155 Nm torque mated to a 6 speed manual transmission. Acceleration from 0 to 100 kmph is achieved in 10.7 seconds. Efficiency of this engine has been vastly improved with reduced friction between cylinder bores and pistons. 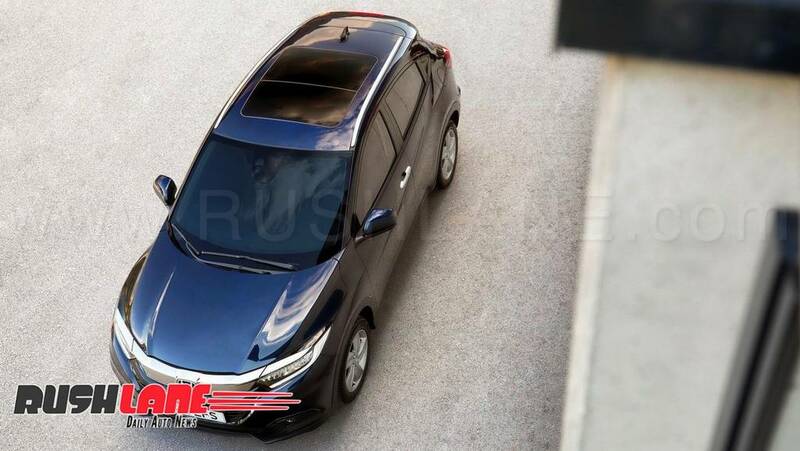 In India, the new HRV SUV is expected to be powered by the same engine which is seen on the current Honda City. This is also a 1.5 liter unit, but tuned to deliver 118 PS. Along with it, it will also get 1.5 liter diesel unit, which is rated at 100 PS and 200 Nm. Transmission options on offer will include automatic as well as manual. Expect price to be in the range of Rs 9-13 lakhs. 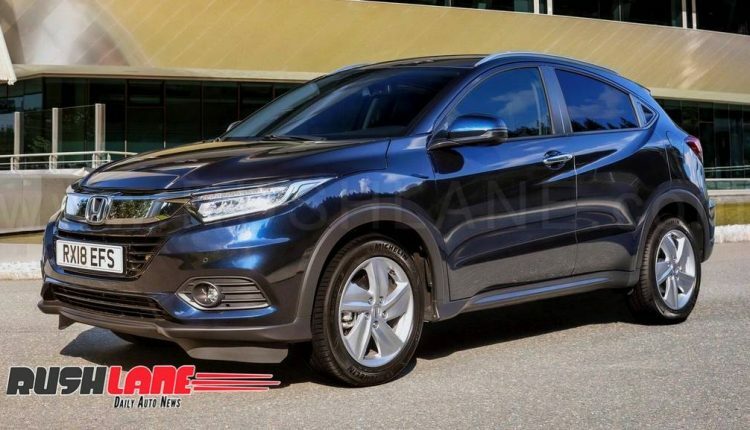 Honda HRV launch is also planned for next year.